Let the count down to Thanksgiving begin! I’ve been getting more and more in to the holiday spirit these last few weeks. 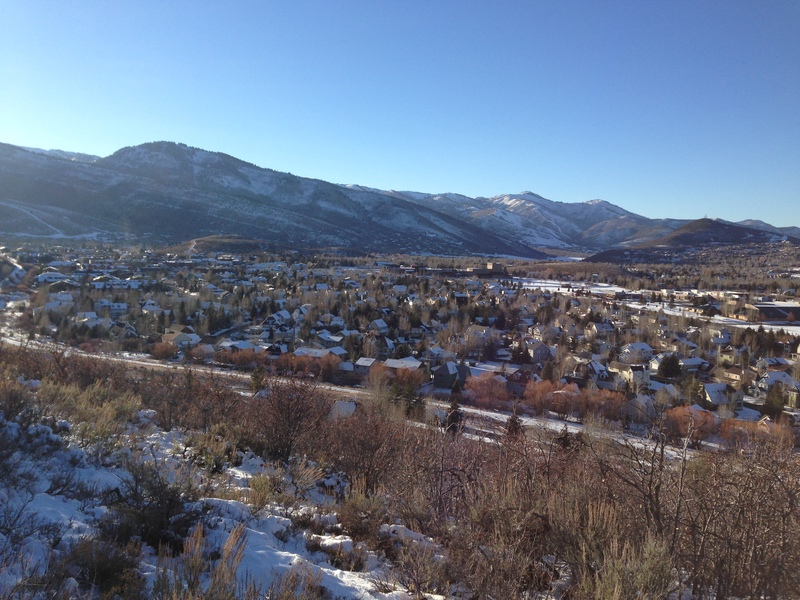 The Christmas lights around Park City are starting to pop up everywhere, lighting up the hillsides and making the town look festive. The snow we got over the weekend has helped make town look like a winter snow globe. 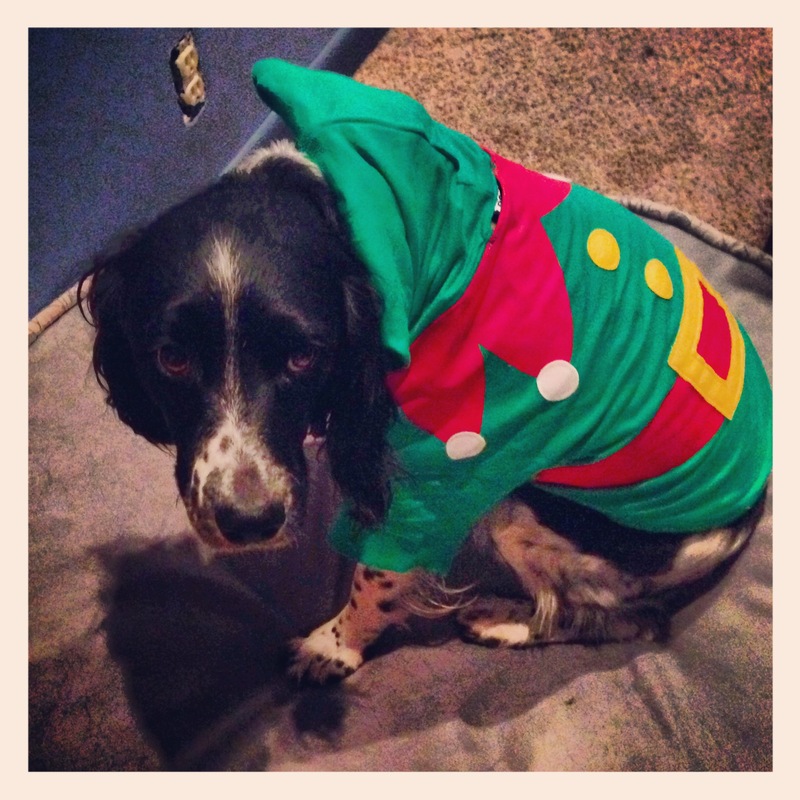 I was feeling so festive the other night I dressed Piper up like an elf. She was not impressed. When getting ready for the holidays its important to have a plan when it comes to cooking at parties. Planning ahead of time for things you can make the day before will save you time, oven space and your sanity Thanksgiving day. Don’t have a plan yet? Check out Food 52’s “How to Hike a Mountain and Serve Thanksgiving Dinner on the Same Day” or see Bon Appetit’s Thanksgiving Checklist. Most importantly when planning for your big feast, remember that your oven will be occupied most of the day with the Turkey – Making hot appetizers hard to serve. The greatest thing about these two appetizers? They can be made a day in advance and require little to no oven time! That means more football, friends and family and less time in the kitchen! 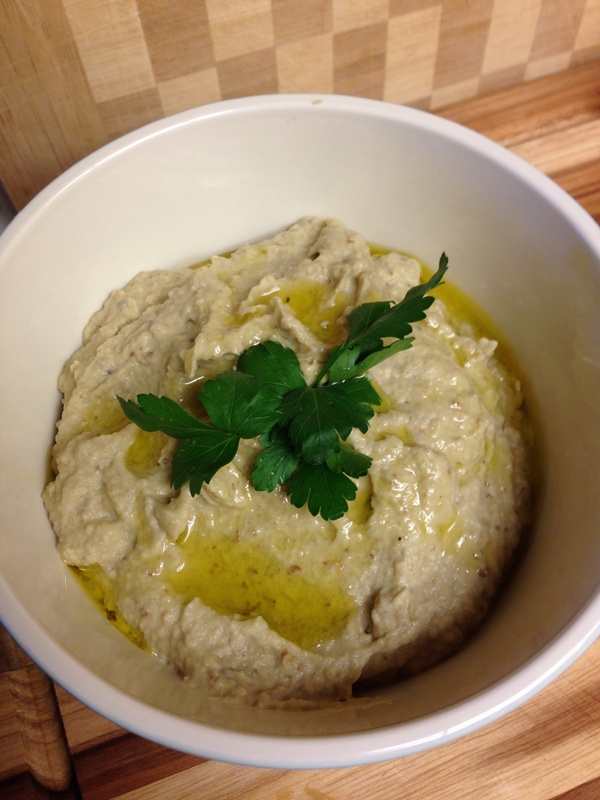 Baba Ghanoush is a classic Middle Eastern dish made from roasted or grilled eggplant which is pureed to make a delicious hummus like dip that can be served with fresh veggies, crackers or pita chips. I always think this dip is better the next day, which makes it the perfect make ahead appetizer! It’s time to mix up the classic appetizer table and give your guests a surprising treat- plus Baba Ghanoush is fun to say! Place eggplant on baking sheet, and make holes in the skin with a knife or fork. Roast it for 35 to 45 minutes, turning occasionally, or until soft. Remove from oven, and allow it to cool before peeling the skin off or scooping the flesh from the skin. Place eggplant, lemon juice, tahini, sesame seeds, and garlic in a food processor or electric blender, and puree. Slowly drizzle olive oil into mixture until smooth and creamy (you may need more than 2 tablespoons of oil for this). Season with salt and pepper to taste. Transfer eggplant mixture to a medium size mixing bowl, and drizzle with more olive oil. Cover and refrigerate at least 3 hours before serving. This ricotta dip is another super easy & quick app. Serve it with sugar snap peas, bagel chips or pita chips for a wildly delicious snack! For more than 6 people double the recipe- it goes quickly! Combine ricotta and pesto in a bowl until fully incorporated. Add chopped sun dried tomatoes and stir to combine. Add salt and pepper to taste. Serve with bagel chips, pita chips or cut vegetables. If making the day before, cover with plastic wrap and refrigerate until you’re ready to serve. 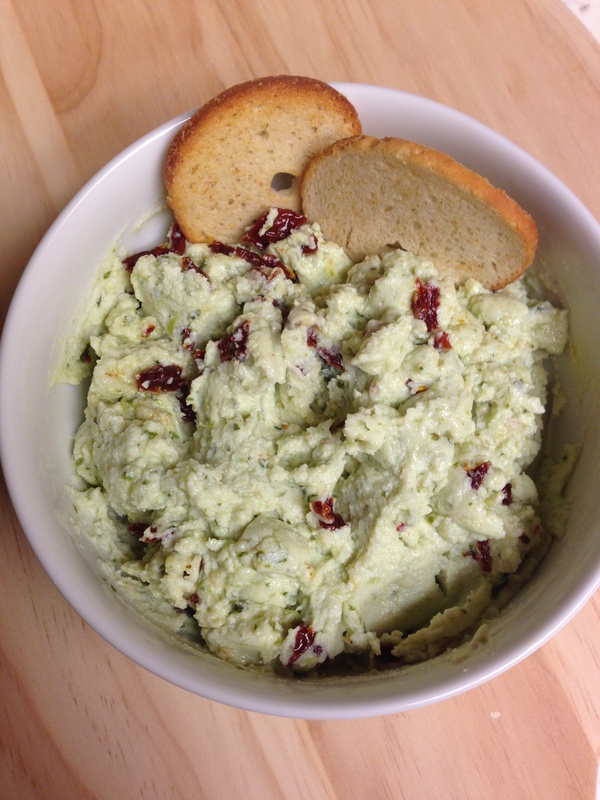 This entry was posted in Appetizers, Holiday Dishes, Recipes and tagged baba ghanoush, dips and spreads, Holiday Apps, ricotta pesto dip, sun dried tomatoes, Thanksgiving appitizers by skibootsinthekitchen. Bookmark the permalink. I love your blog and have requested that you be nominated for the Liebster Award! Please check my blog at kalesijablog.wordpress.com for the details and I hope you accept. Great stuff! preparing to make your buffalo dip for a football week-end!!! Thanks William! The “crack dip” is a delicious (and dangerous) addition to any party!